As we previously posted here, the Hillsborough County commission and county administrator Mike Merrill intentionally schedules BOCC workshop meetings intended for discussion only to vote and take actions on the big and controversial issue of transportation - no public comment allowed. Meetings noticed as workshops do not allow any public comment because according to the BOCC's own policies workshops, as we previously described, are intended for in depth discussions, information gathering and provide an opportunity for commissioners to get their questions answered - all in the Sunshine. If there is a decision to take action at the very least according to their own policies, the workshop meeting is supposed to be opened up for public comment. If the Board plans to take official action on a proposition at the workshop meeting, then members of the public shall be given a reasonable opportunity to be heard and public comment will be taken. Not so with this county commission. They violate their own policies and apparently don't care. This is bad governance occurring right before our eyes. Wednesday's transportation workshop meeting was intentionally scheduled and noticed as a workshop so actions and votes could be taken on the critical and controversial transportation issue without allowing any public comment on those planned actions. It enabled the tax and spenders to collaborate their actions. It enabled Commissioner Hagan to make motions taking all other funding options for transportation off the table except another huge sales tax hike referendum - all actions taken with no public comment allowed. It is absurd for the county commissioners to take every other funding option off the table except for throwing another huge sales tax hike referendum on the ballot that will most likely fail. That is horrible governance. It is absurd that this commission refuses to even consider any Plan B. Why? Because it is apparent some prefer taking the easy way out and do not want to be held responsible and accountable for anything. Any commissioner who votes to put any sales tax hike on the November ballot supports the tax - period. The county's new recurring revenues for FY2017 are expected to be over $53 million. The county has the $23 million BP oil spill settlement money that has no restrictions on how the money is spent and they are sitting on those funds while our roads literally crumble. Due to their inaction, the county is creating a costlier maintenance problem to fix than just repaving and filling potholes. Everyone else must fund their priorities first except this county commission? To take such drastic action as removing all other funding options in a meeting that prohibits public comment and does not allow the public to weigh in at all makes their absurdity even worse. In addition, at the workshop meeting intended for discussion only, this commission takes a critical and controversial vote to take a proposed 15 year sales tax hike referendum to a public hearing. It passed 5-2 with Murman and White courageously voting no. Commissioners Crist and Higginbotham flipped from their previous no votes to yes. Do they support the 15 year sales tax hike? The county does not even have a transportation plan but commissioners vote to take some proposed 15 year sales tax hike referendum to public hearing. Again, this county commission works backwards which is simply bad governance. Instead of creating an engineered, data driven transportation plan first that clearly provides the public with the actual benefits to be attained, this county commission proposes another sales tax hike first - then maybe we get to find out what it will fund. Watch the archived video or read the transcript of the workshop meeting at the HTV website by selected Archived meetings, BOCC workshop and the date of the meeting 5/11/2016. So the show looked to be over with that big no vote last month. But we do like our political theater around here. At a meeting this week, Commissioner Ken Hagan went through some not-particularly-doable alternative options to pay for transit improvements. 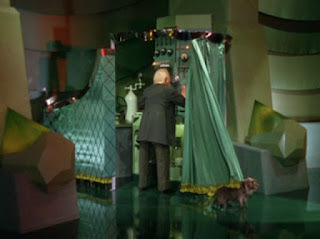 One by one, those "options" fell away and you sensed something afoot. Anti-tax Commissioner Sandy Murman saw it coming but, pardon the pun, could not stop the train bearing down. Suddenly, they were back to the idea of a referendum whose death they had already witnessed — this time, for a 15-year half-cent tax potentially more politically palatable than the previous 30- and 20-year options. It is interesting to note that two previously no-voting commissioners —Victor Crist, who flirted with the idea of progress before his swing vote killed it, and Al Higginbotham, who once indicated he'd support it and later didn't — both voted to let the new 15-year version go to at least a public hearing. Here's a theory on why political minds might just be swayed this time. This same commission recently socked developers with increased mobility fees for growth and construction, and those fees could go way higher if there's no new sales tax for transportation. Developers have been known to have some influence with politicians, too. As Carlton reported, now the Developers who pad the campaign coffers of many of the county commissioners must be on a rampage. They want that sales tax hike because their mobility fees get cut in half if the county gets a new boatload of your tax dollars. The county commissioners could have addressed developer impact fees years ago and did not. The county commissioners could have addressed our current budget spending over the last three to four budget cycles as county revenues continue going up an up and funded our roads and they did not. The county commissioners could have re-diverted property tax revenue that historically always funded our roads back to funding our roads, instead of spending on pork projects, subsidizing special (often wealthy) interests and growing Mike Merrill's bloated bureaucracy, and they did not. The county commissioners could have used powers they already have to start addressing our road and transportation needs first and they did not. Instead the commissioners allowed themselves to get forced into a corner by the sales tax hike and spend collaborators Commissioner Ken Hagan and County Administrator Mike Merrill, an unelected bureaucrat. Hagan intentionally forced actions and votes on the critical and controversial issue of transportation funding at a workshop meeting that prohibits public comment. The sales tax hike and spenders collaborative actions were then enabled by County Attorney Chip Fletcher who never even mentioned the Board's own policies regarding workshop meetings and allowing public comment before Board actions and votes. The entire transportation issue over the last 3 years has been political theater. 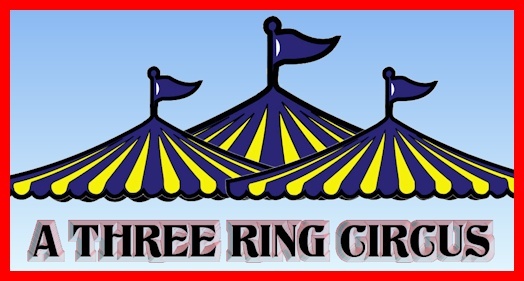 Between the PTC ride sharing debacle and the transportation and economic development effort creating the costly crony, phony Go Hillsborough debacle, our local transportation issue has been turned into a three ring circus. There is lots of blame and shame to go around for enabling and allowing such bad governance down at County Center. 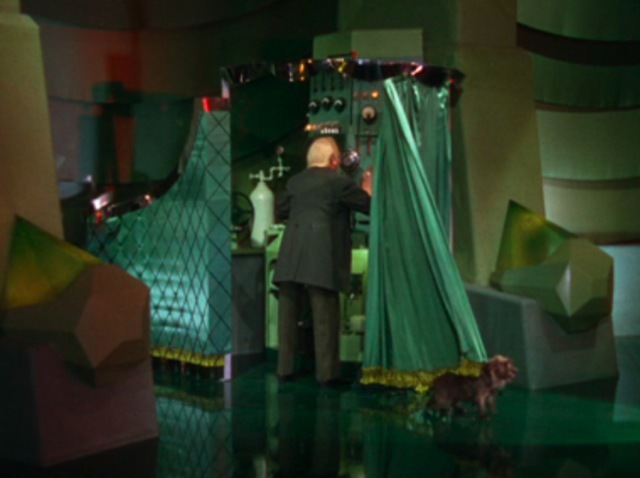 However, we can highly speculate who orchestrated it in the shadows and behind the green curtain. Apparently some county commissioners are so out of touch with the electorate today, they refuse to recognize their constituents across the political spectrum are fed up with bad governance, especially governance in the shadows. The county commission's transportation initiative originally created to build public trust has flat out back fired. And taking critical votes at workshop meetings prohibiting public comment just adds to the distrust. This was a transportation workshop and they voted down any consideration of FY17 budget revenues for certain funding sources. This should have at the least been done at a budget meeting, not a transportation workshop.